Update: The workshop is full. Smartfish is planning more workshops for the future. 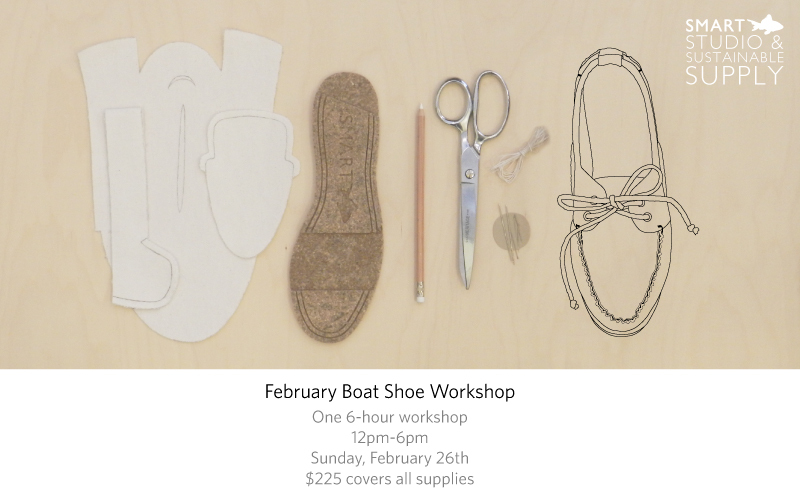 The workshop will be a mixture of demonstration and hands-on participation, covering material selection and pattern placement, pinning and cutting, outsole trimming and sewing, hand lock stitching and other footwear construction techniques. There will be plenty of material options available in the shop for you to choose from, or you may bring your own fabric if you would like. There is a chance it will not be a good option for the construction process though.